Please note that this giveaway has ended. Congratulation to Karen C. and Diane Black! 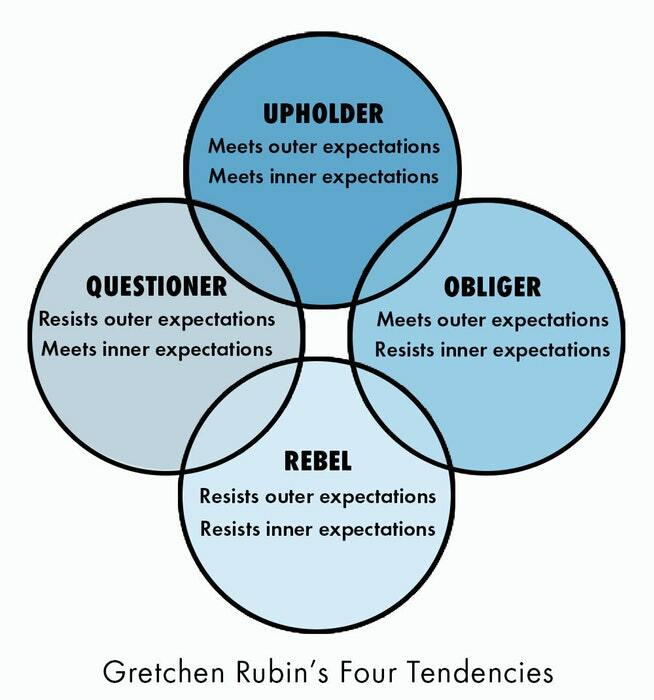 These four tendencies describe a personality framework based solely on whether someone meets or resists outer and inner expectations. So for Gretchen to take on such ambitious projects is a natural fit. She’s able to set and reach personal goals and then meet deadlines set by her publisher. However, I think that being a Rebel is closely tied to a richly creative mindset. Because I have zero interest in going through life like everybody else, I’m compelled to reinvent each and every wheel. I don’t let others’ opinions hold me back from what I want, and I’m almost impossible to embarrass. I have a strong sense of self, but I have a terrible time with deadlines and self discipline. Luckily, this book doesn’t just focus on identifying your individual tendency, but explores motivation and what it means to meet or resist life’s expectations. (Which Rubin clarifies is only a single aspect of what makes us tick.) Rubin also gives very concrete information about how to interact with and understand others’ tendencies, which is important for anyone who’s not currently a hermit. There’s an online quiz to determine your tendency, although I do have to confess that I’ve only skimmed it. I could go on and on about this book, but instead I’m going to cut to the good part. I’m giving away copies of The Four Tendencies to two lucky readers. Just write your name in the comments section below, and I will randomly choose the winners on Sunday, October 29th at 9 P.M. PST. Denisse Moreno. Now I want to read all her work! I am an obliger. Love Gretchen Rubin. TY so much for the chance! I think you should start a podcast! Thanks for your creative blog. I gave copies of The Happiness Project as birthday presents when it first came out. Loved that book! Liz Bishop. WooHooooo!! Thanks, Katy! Laura – also a rebel! I must be a rebel too since I immediately wondered what her credentials were for such a book and why I should follow someone about psy related stuff when she has no background in such a field lol! Just FYI, you’re a questioner not a rebel. I read Gretchen’s other books, and in introduction to this one. While she may not have an educational background in psych, Gretchen Rubin is an amazing researcher (I know this from my professional background). She is very thorough in using other people’s academic work, and she analyzes it and presents it very well. I am a questioner, and I have noticed my tendencies a lot since I read the introduction to this book! Ann Yawornitsky – thank you for the chance to win! I am somwhere between and upholder and obliger. 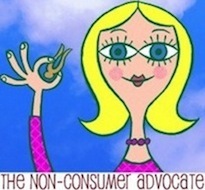 Love Gretchen Rubin’s work and your blog ! I don’t want to be entered but I just want to say how eye opening/wonderful/amazing this book and her theory are! I picked this book up because I had read her books before but I wasn’t expecting it to EXPLAIN EVERYTHING ABOUT MY LIFE. Literally. Just knowing that I’m not alone and not nuts was amazing. It was like finally getting a medical diagnosis after years of searching, knowing something is “wrong” with you, in societies eyes, but not really knowing why or what to do about it, and it’s been so freeing. I already took the online quiz! Upholder! I’d love to read the whole book. Which I promise to read from cover to cover. Of course! Sarah Rains This sounds like a super interesting read. Thanks for the chance to win! I think I’ve got a rebel streak in me too, would love her book. Really interested in reading this book! If I don’t win, I’m putting in a request for it at my library. Is this open to non-US readers? If it is, please enter me! Apparently I am an Obliger……Erin. I am definitely a questioner. Alexis S hoping to win. I don’t know which I am and weather to read to learn more! Always late to the party, lol. Oh well…Jennifer, here. Margaret Morang! This is a very interesting idea. Sarah E! I love Gretchen’s work! ooooh, thank you for the chance! Big fan of Gretchen’s work! Yay for a giveaway! and I have one of Gretchen’s books on kindle…. the Happiness Project! Mary in Maryland. Address available upon request! Clearly a questioner. This sounds incredibly helpful! Thanks for sharing. Julie C …hope to win!! I popped over to your site to link to your blog for an article I’m writing on thrift stores and saw this post. I LOVE Gretchen Rubin! I have both her Happiness Project books, Better than Before, and I just started reading The Four Tendencies, so, don’t enter me to win a book. Out of curiosity, as a rebel, what drew you to her works? I’m an obliger by the way. Please don’t enter me to win, but I wanted to let you know that your review of this book prompted me to immediately put it on hold at the library….thx! Sarah! I’d love to read it as it was just recommendedby a friend as well. This would be a great slightly-post-birthday present for me, lol. Off to take the quiz. Mary W.
I took the test. I’d love to read the book. thank you! Chessie is interested in the book! Thank you. I would be so happy to win this book. Gretchen’s previous books have taught me a lot about myself! EmmaS. I’m a questioner who loves Gretchen Rubin’s work and yours too, Katy! This book sounds like an awesome read! Count me in! Betsy S.
Kat. This book looks interesting but I am in the middle of a 1 year but no books challenge (my vice) so I better win! “Buy no books” I can barely type it, it’s so hard to do! Im entering to win z book. I have to confess this is new to me (except where you have mentioned it in your blog) but it sounds like an immensely interesting read. I love Gretchen, too! Thanks for this opportunity, Katy. I’ve enjoyed Gretchen’s other books-please add me to the give-away! fun! I’ve read her other books, but haven’t gotten to this one yet. Sign me up! I enjoyed The Happiness Project and would love to read more of her work. Laure. Sounds fascinating! Loved The Happiness Project. 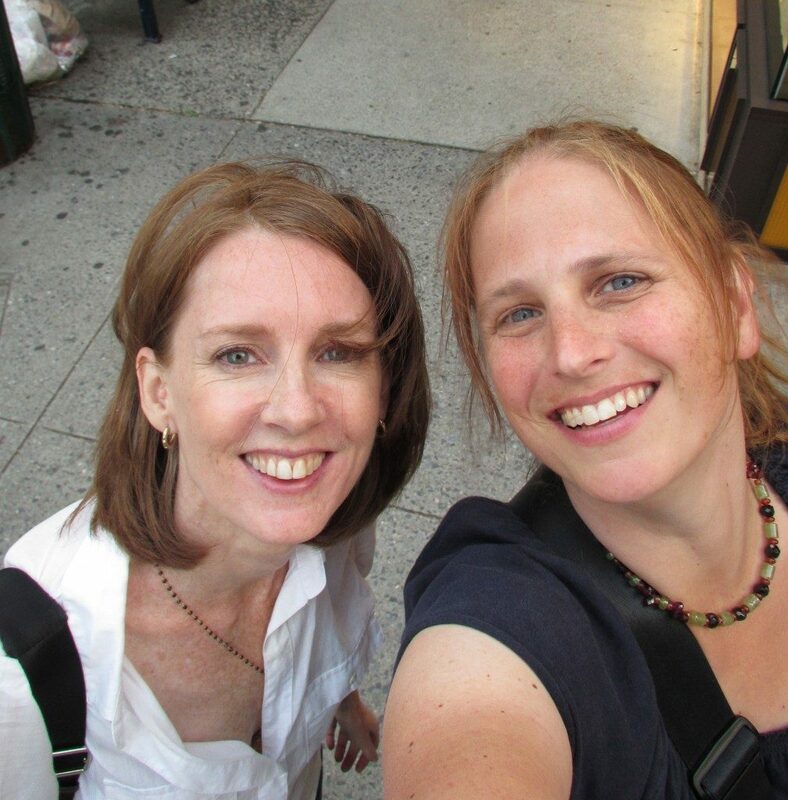 I met Gretchen Rubin in Denver a few years ago on one of her book tours. I think she is great as well. I don’t have her new book yet and would love to read it. I’m a Questioner and my name is Meredith. I loved The Happiness Project :). Thank you for the Giveaway. I’m a Questioner, and I’d love to win a copy of the book to delve further on this. Thanks! Yayy! I follow Gretchen on Twitter! I enjoy her posts! I think I’m an upholder which is a bit surprising given my creative nature. Definitely looking forward to reading the book. I’m a questioner, but have raised one and am in the process of raising another rebel. The challenge is real! lol. I have 4 other kiddos whise tendencies I haven’t determined yet. I am interested in how this framework could influence my parenting. My brother is a rebel, I’m an obliger, and it TOTALLY never made sense to me why he wouldn’t do stuff when our parents asked him to… until I listened to her podcast! Sounds interesting – I’m Anissa T…. I’m an obliger. Please enter me in the contest. Laura W.
Jenn Haynes. I love her writing too!